Getting your baby to bed is quite of a challenge that you face from day one with your little bundle of joy. While all babies are different, it is essential for all of them to get a good night’s sleep. 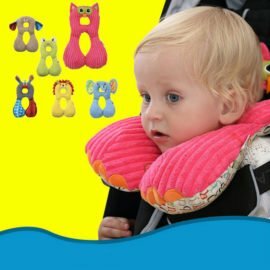 It is necessary to find that magical technique that can make your baby fall asleep quickly and stay asleep as long as possible. The same is valid for toddlers and bigger kids – you need to establish a routine and use the right bedtime aids that can guarantee sufficient sleep. There are many natural ways to calm your baby down and help them get to sleep but not all of them work. Therefore, parents are looking for other bedtime aids like reading, soothing music, comfort toys and the like. Whatever you choose for your kid, it is good as long as it works and allows them to rest well at night. Still, there are a few tips and practices that work in most of the cases and are worth giving them a try. The guide below tries to present a few bedtime aids that help babies and kids sleep well and most of them also promote quality time for both parents and kids. Why poor sleep is bad for kids? Shall we use a sleep aid? Quite often children become overstimulated or act as being hyperactive as a result of insufficient sleep. Even half an hour less sleep can make children behave unnaturally. If sleep deprivation is systematic – because of a sleep disorder or simply because children spend more time in front of the TV or other mobile devices, this can cause serious problems. Children develop ADHD-like symptoms and in case they are wrongly diagnosed this could cause serious problems. Insufficient sleep can affect how your immune system functions. It is found that inadequate sleep increases inflammation markers in our bodies and lowers immune function, which can lead to serious complications. Kids will not be able to resist and fight viruses and can get sick more often and for longer periods. Chronic sleep deprivation may lead to weight gain. Children who do not get enough sleep as infants or in their early childhood are more likely to suffer from obesity later in life. There are many reasons why the lack of sleep can affect our weight. One possible explanation is that insufficient sleep can make children feel hungrier and less full and hence make them eat more than necessary. In addition to that, insufficient sleep may affect certain hormones such as cortisol, which is linked to abdominal obesity. People who get insufficient sleep, less quantity or quality of sleep are more prone to developing type 2 diabetes. As you can see, sleep is more important to our health than we actually realize. Therefore, it is important to do our best to provide our kids with the best ways to offer them healthy sleep. Setting a routine is always good for a kid. It makes them calm down and know what follows throughout the day. Similarly, the bedtime routine is an efficient way to prepare your baby for sleep. Young parents are advised to establish 20-30 minutes of quiet activities prior to putting their baby to sleep. The list can include a warm bath, a massage, a lullaby or reading a bedtime story. Choose activities that calm down your kid and that your kid enjoys. Make sure that you are also as relaxed as possible as your nervousness will transfer to your baby. These activities help the baby wind down and transition gently to sleep. 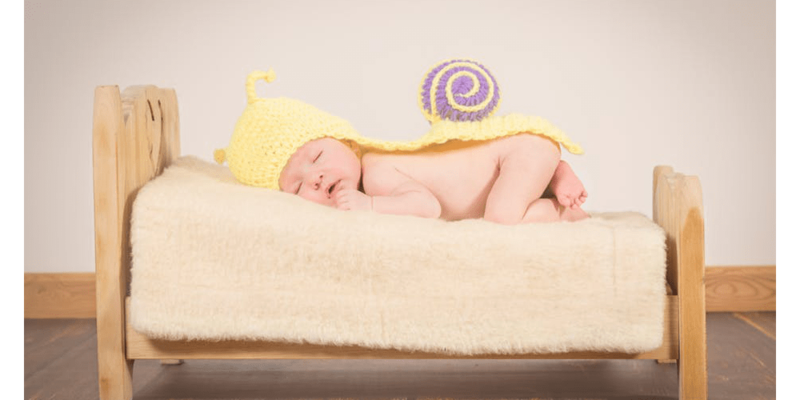 An infant massage is practiced by many cultures and it is believed that it could help the child fall asleep easier and sleep through the night. You can start giving your baby a gentle massage before bed as early as their second week. Make sure to do it in a warm room to prevent any colds. You can also choose to dim the light to make the transition easier. Once you have started giving your baby food different than milk, you may try using some kid-safe herbs to help the kid wind down. Chamomile is one of the recommended herbs but be careful and consult your pediatrician before introducing it. Tea can be a great solution for toddlers and bigger kids. It is also recommended for parents, as it helps to relax and sleep well. It is a good idea to spend a lot of time outdoors as it is generally good for the baby. Sleeping outdoors is often preferred by many babies during the day. It is a good idea to trade screen time for green time. Instead of letting your kid stay in front of a TV or а smartphone screen, take a walk outside before getting ready for bed or simply get out in the garden or on the terrace. Light exposure at night time is not a good idea as it sends a message to your brain that you should stay awake and alert. Hence, it is not a good idea to let your baby sleep with the light on. If your kid is afraid of the dark, then at least avoid blue light and opt for filters that stop these waves. Go for dim light and preferably turn it off once the baby is asleep. A busy schedule can have a negative impact on your kid’s sleep. If your kid is overloaded with activities throughout the day, this may cause sleep disruption. Many parents prefer to plan their kids’ day and fill it with activities hoping that the kid will get tired and therefore go to bed earlier and/or sleep longer. Actually, too many activities trigger the opposite effect. If you see that your child is struggling to get asleep but looks quite tired and frustrated, then it is time to think about trimming down the activities during the day. There is nothing wrong in letting your kid get bored, do not try to dill every single minute of their day with activities. These natural remedies will have a positive effect both on your kid and on you. Note, that you need to be persistent in using them before they give proper results. Unfortunately, in some cases, the above-listed natural ways of calming a baby or a bigger kid do not work. In such cases, the parents need to be more creative and look for other solutions. Quite often they think of some sleep aid that can help. As first parents, many people are wondering whether a sleep aid is a good idea. Generally, the answer is yes. As long as you have found a safe way for your kid to calm down and fall asleep, it is ok to use and share it with other parents in need. Quite often, parents combine natural sleep aids with comfort toys or sleep apps that help them accomplish their mission of having a kid sleeping safe and sound. Nowadays we have apps on our mobile devices that can help us with almost anything – from fun to work. Hence, it is no wonder that there are several sleep apps specially designed for infants and toddlers. 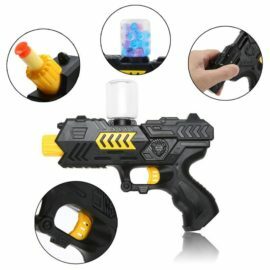 They help the parents calm their kids down and put them to sleep much easier. There are several free apps that you can download and use. Some of the most popular include “Baby sleep sounds” that even allows you to record yourself singing or make a mix of your baby’s favorite lullabies. Another preferred one is “Lullaby for Babies”, which allows you to set a timer determining for how long the songs shall run. “Lightning Bug – Sleep Clock” offers over 200 sounds like waves, rainstorms, and electric instruments producing the white noise that calms babies. The app features an alarm and snooze to prevent you from falling asleep before your baby does. Lavender is believed to have a soothing effect and is often recommended as a sleep aid. Lavender oil can be used for massaging your baby and thus calming them down. Note, that it is not a good idea to do it too often though, as lavender oil contains estrogen-mimicking compounds, which may have an adverse impact on your baby. You can also use lavender scented washing powder for your kid’s clothes or lavender scent for the water you are bathing them in. In some cases, it is believed that lavender calms down the parent as well, which affect the kid indirectly. When you are more relaxed, your mood transfers to your child and thus it assists falling asleep. Toys and comfort objects are another popular sleep aid used by many parents. Note that stuffed toys, blankets or pillows may pose an asphyxiation hazard to babies under 12 months, so try avoiding their use. Besides, some studies reveal that infants start looking for a comfort toy or object for sleep around their 8 month. 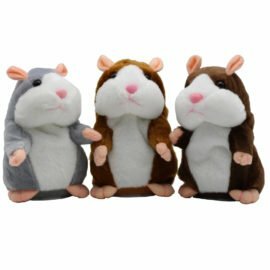 Still, you can provide your baby and toddler with a comfort object that calms them down and helps them to fall asleep. Many parents report that pacifiers do the trick, while others prefer toys or pillows. 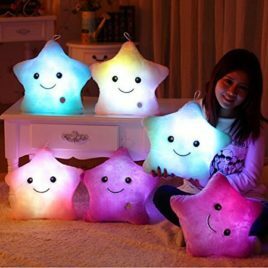 The glowing star pillow is a combination of soft toy and nightlamp in one. It is suitable for bigger kids and can help them fall asleep or fight their fear of the dark. 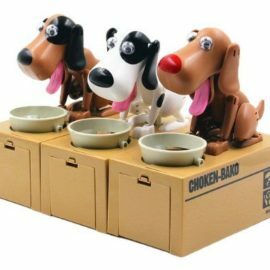 It is easy to turn the lights on and off and use it as a plush toy or comfort object while sleeping. There are many remedies that can help your kid wind down and fall asleep easier. You need to try a few of them and see which one works for your family. Quite often, the best results are achieved with a combination of natural ways to calm down a kid and a sleep aid like sounds or a comfort object. Note that once you have found the right approach for your infant, there is no guarantee that it will work when your kid grows. Try a different method for a toddler or for a pre-adolescent and use it as long as it gives results. 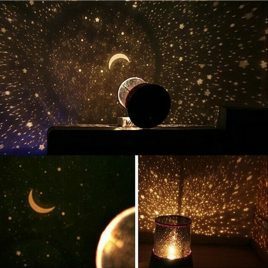 The night light will change the way your kids go to bed, they will be excited and sleep really well with a smile on their faces!This Night Light Sky Projector comes with an USB power cable and can be used with batteries !